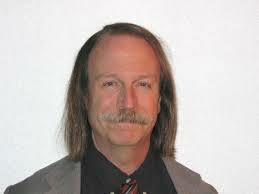 Dr. William Roy is a Senior Geochemist at Geochemistry Section, University of Illinois at Urbana-Champaign, USA. His research areas include sequestration of carbon dioxide in geologic formations, environmental impacts of agriculture, chemical fate and transport of contaminants in soil and groundwater, coal combustion by-product management, and radioactive waste management. He is also an Adjunct Professor in the Department of Nuclear, Plasma, and Radiological Engineering, College of Engineering, University of Illinois. He is a member of the Soil Science Society of America (since 1981) and the American Nuclear Society. William has been with the ISGS since 1980. His research areas include sequestration of carbon dioxide in geologic formations, environmental impacts of agriculture, chemical fate and transport of contaminants in soil and groundwater, coal combustion by-product management, and radioactive waste management.